Good morning, stamping friends! I hope you’ve had a good week. Things are good here. We got to see our little guy on the ultrasound last week. He seems to be staying put for the time being (I’ve never had an early baby), which is good, since I still have a huge to-do list before he gets here. Anyway, you’re here for card stuff. 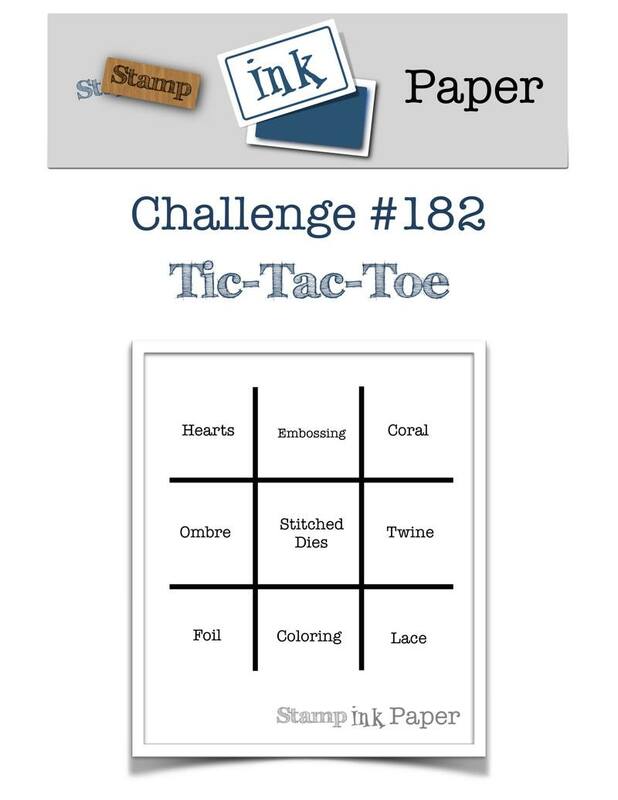 This week our challenge at Stamp, Ink, Paper is a Tic-Tac-Toe challenge. I went with the diagonal from top left to bottom right, Hearts, Stitched Dies, and Lace. I also hit Foil and Embossing, for overachieving purposes. My card base is Thick Whisper White, 4-1/4″ x 11″, scored at 5-1/2″. I stamped two lace doilies from the Dear Doily stamp set (addicted to this stamp set, as you can tell!) on the card base in Lovely Lipstick. On top of the card base is a piece of Coastal Cabana cardstock (I love this color combination! 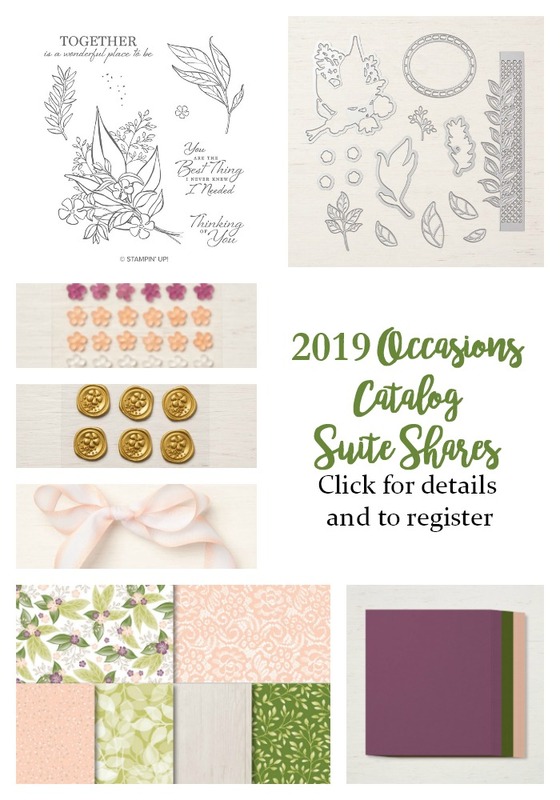 ), which I first ran through the Big Shot with a die from the Be Mine Stitched framelits and the Big Shot Embossing Mats. I did this several times until I had covered the whole piece of cardstock, then I trimmed the cardstock down with a Rectangle Stitched framelits die. The hearts are done with the Ink Smooshing technique. 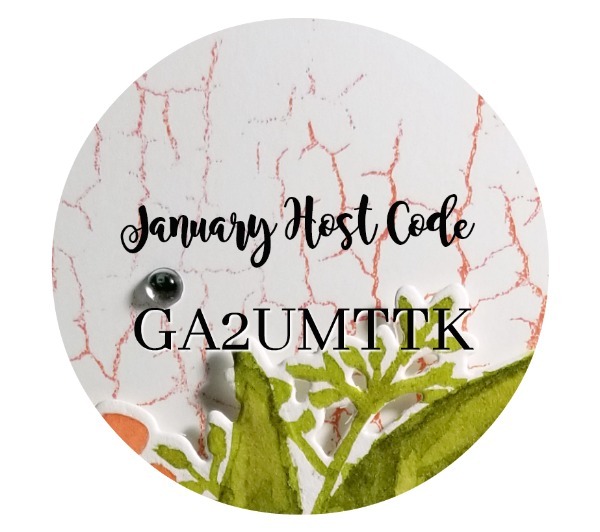 I dropped Coastal Cabana, Flirty Flamingo, and Lovely Lipstick ink from reinkers onto a piece of plastic wrap (you can use kitchen plastic wrap or just any plastic wrapper in your craft room, as long as it’s big enough to cover the cardstock you want to color). Then I spritzed the ink with water, set down a piece of Shimmery White cardstock in the ink, smooshed the cardstock down, and then lifted it out of the ink. I love this technique, because you get different results every time depending on how the ink runs and also depending on the type of paper and ink you use. 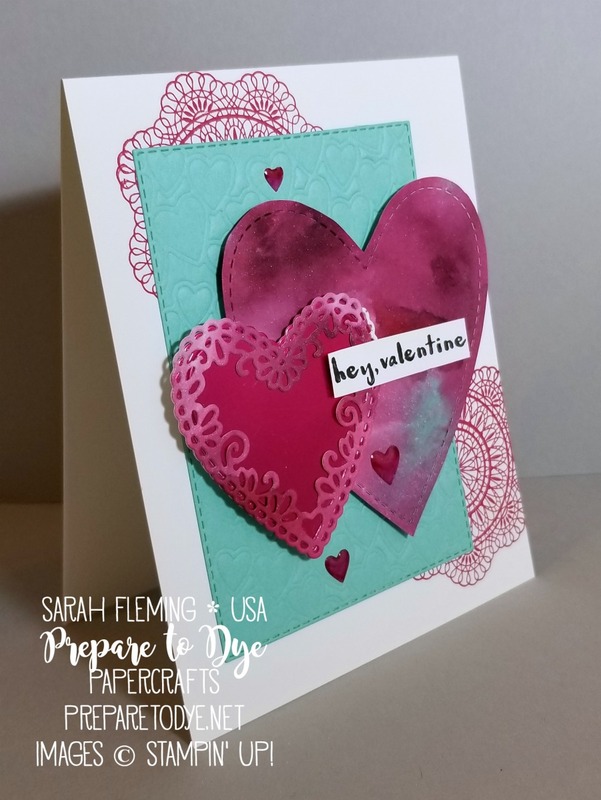 After my cardstock dried, I cut out the best parts using the lacy heart die and the 2nd largest stitched heart die (which only cuts the stitching) and my Snips. I also cut a heart out of Lovely Lipstick Foil Sheets (free Sale-A-Bration item! ), roughly the same size as the lacy heart, and glued the lacy heart to it. I popped both hearts up on Dimensionals. I stamped the sentiment from the Hey Love stamp set in Memento Tuxedo Black ink on Whisper White, then snipped it out with my Snips. I colored three Heart Epoxy Droplets with the Dark Lovely Lipstick Stampin’ Blends marker and added those to finish off the card. I hope you enjoyed my card and that it has inspired you to go make something! We’d love to see you play along with our challenge at Stamp, Ink, Paper!